Weather balloon is the hour hand, satellite is the minute hand and the aeroplane is the second hand. 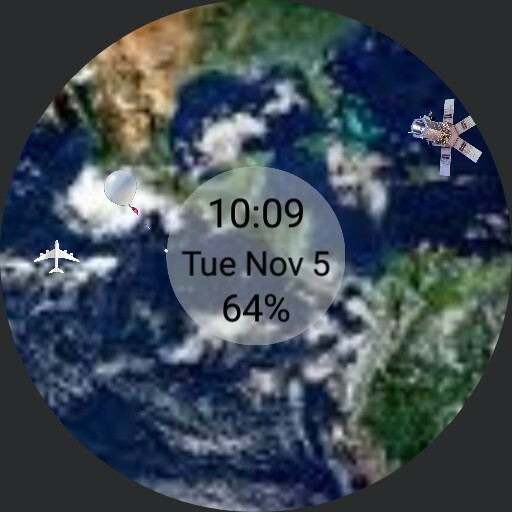 Tap actions on the weather balloon, satellite and aeroplane launch the weather, messages and timer apps respectively. Tapping on the centre circle launches Google Fit or Samsung Health. Tap actions were tested on a Samsung Galaxy Watch and may not work with other watches.